The role of a Milwaukee court reporter in a trial can be easily seen whenever there are public legal proceedings underway, especially when the official record is called into question. However, court reporters' other main duties, such as depositions, are often overlooked by the general public. In a recent blog article, Steve Roberts, a Denver-based accident lawyer, discussed the topic of depositions and the exact role they play in the legal system. He put heavy emphasis on the need for lawyers to have a hard copy of a sworn-in document reflecting what a witness is going to say heading into a trial. Should the witness attempt to change his or her story during the course of a trial or hearing, lawyers have something that can prove any inconsistencies, or impeach the witness. 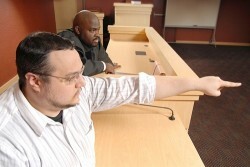 "Depositions are one of the most important parts of any attorney's discovery plan and the transcripts taken by court reporters during these depositions make sure that the attorney's hard work preparing and taking the deposition is not for not and that the attorney can reap the benefits of his/her work," Roberts wrote on his blog. Depositions are also vital in any case where an individual is unable to take the stand in a courtroom due to a medical issue or inability to get to the courtroom. In these instances, lawyers still have a sworn statement as to what the deponent said concerning the case. Furthermore, lawyers are now using video depositions in more and more cases, to give the courtroom an opportunity to see and hear every witness. A Milwaukee court reporter is necessary for all depositions, so as to swear in the individual who is being questioned and to ensure that everything that is said will be admissible in front of a judge. 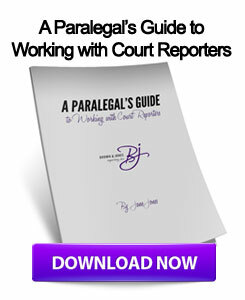 All local legal officials should ensure that a Milwaukee Court reporter is present whenever a witness is deposed. This entry was posted on Monday, March 18th, 2013 at 5:57 am	and is filed under All Posts, Court Reporting Services. You can follow any responses to this entry through the RSS 2.0 feed. You can skip to the end and leave a response. Pinging is currently not allowed.